Uh. Tungfa is back here too. it's good to see some old timers. I miss to hear from Evan too. No news from himself for more than a year. I hope he is doing fine. I present to you, the new Icebreaker!! Lithuania, the European state, has recently unveiled comprehensive guidelines, “ICO Guidelines”, that outlines regulations for both cryptocurrencies and ICOs within the country. The report covers four topics; regulation, taxation, accounting, and Anti-Money Laundering/Combating the Financing of Terrorism (AML/CFT). The Lithuanian Minister of Finance, Vilius Šapoka did explain that the report is not exhaustive and whenever a discrepancy exists between the guidelines and institutions, the latter will take precedent. Vilius Šapoka had an overall positive attitude about cryptocurrencies saying that they “acknowledge that the brave new crypto economy world is here to stay” and thus want to “encourage and invite its participants to innovate and create in Lithuania”. YAYYY! we have a new pet troll. I wonder if we can make our new pet troll learn new tricks ? With Icey we made it learn how to delete its own posts, what can we teach demo ? "a good decision is based on knowledge and not on how many people vote." 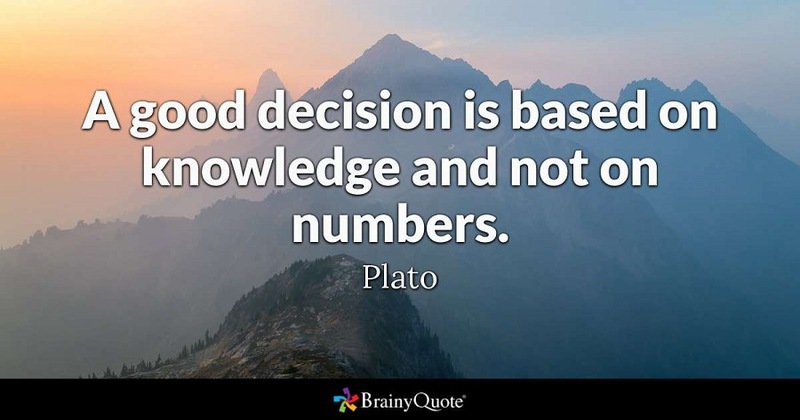 Plato also refers to the knowledge tree. The knowledge tree is a graph of interdependant decisions/votes. You are allowed to vote for these decisions, either with a yes/no or with numbers. Voting with numbers without having a structured knowledge tree, is stupid. This is what plato said. Here is an example of interdependant votes/decisions, that form a small graph. Dash Embassy D-A-CH recently announced, via a Press Release to Dash Force News, their integration with Transformationsmanagers and AustrianStartups. Transformationsmanagers is an Austrian network that consists of “business consultants, coaches and trainers” who bring companies and employees together to “create a productive work environment through cooperation and self responsibility”, according to the press release. The club has a vision for a decentralized “network-oriented and cooperative economy” and thus, naturally saw Dash as a great fit and will now have members pay their membership fees and conduct services between themselves in Dash. Peter Schäfer, the founder of the network, spoke highly of how Dash aligns with their goals. Why is the governance and budgeting system supposed to be beneficial? Good news, new promising partnerships released almost every day, but the price of DASH has kept falling to extremely low prices, including terrible flash crashes several days ago. I gonna hodl my DASH as long-term investments after buying more at dips. When blood is in the street than no safe haven into this cryptoworld we see only red everywhere. I didn't understand about your point of view what actually you want to say? Alt Thirty Six, the Dash-based payment platform geared towards the cannabis industry, has inked a partnership with CannTrade, the cannabis wholesale platform with over 400 ‘cannabusinesses’. “CannTrade is the first cannabis-specific B2B marketplace and CRM platform to offer a digital payment solution to cannabis businesses including cultivators, manufacturers, distributors and dispensaries” said the press release. The partnership will now allow CannTrade clients to “make payments through secure blockchain technology that uses Dash digital currency as an alternative to cash”. Ken Ramirez, co-founder and CEO of Alt Thirty Six, mentioned how this helps advance the cannabis industry. This week I had the distinct pleasure of appearing on Vin Armani’s show to talk about Dash. Vin Armani is a libertarian pundit and cryptocurrency developer and advocate most notable for his support of Bitcoin Cash and development of popular products servicing that ecosystem, including CoinText, a service which allows Bitcoin Cash to be sent via SMS text to users who only have a flip phone and have no internet connection. We spoke about cryptocurrency’s evolution over the years, my story living off of Bitcoin, and subsequently on Dash. We covered why I chose Dash, as well as how it compares to other coins, including Bitcoin Cash. In particular, we covered double-spends in merchant transactions, and how Dash has solved the issue resoundingly where Bitcoin Cash still relies on the security of zero-confirmation transactions.